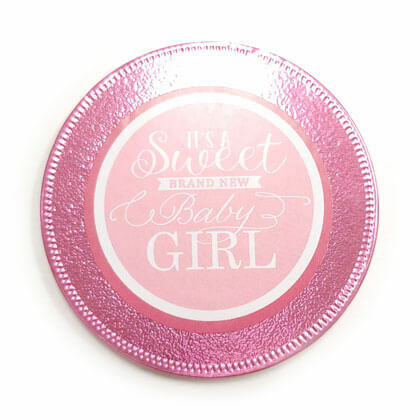 It's a Girl giant chocolate pink foil wrapped coin. 3 inch diameter. Net weight is 0.8 ounces.